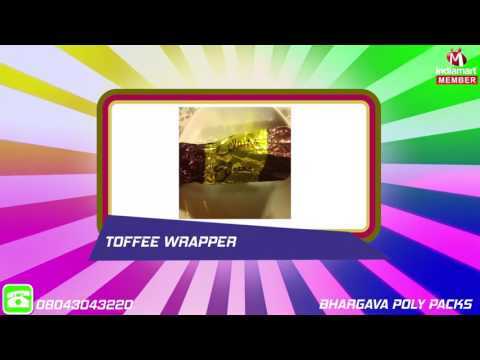 We %u201CBhargava Poly Packs%u201D were established in the year 1994 are occupied in manufacturing and supplying comprehensive array of Garbage Bags, LDPE Bags, HM HDPE Bags, Paper Bags, Shrink Wrap Films, Toffee Wrappers, Poly Printed Bags, Poly Sheet Rolls, Box Type Poly Bags, Side Seal Bags and Anti Static Bags. Our "can do" attitude has guided our team through the most challenging of situations. This positive philosophy has resulted in a large percentage of repeat business. Located at Chandigarh (India), we are supported by State-of-the-art infrastructural base. The infrastructural base comprises various departments like Procurement, Production, Quality Control, Warehousing & Packaging, Sales & Marketing and Transportation & Logistic.